TD Bank has announced it is the first bank in the world to offer customer service via Facebook Messenger, starting today. 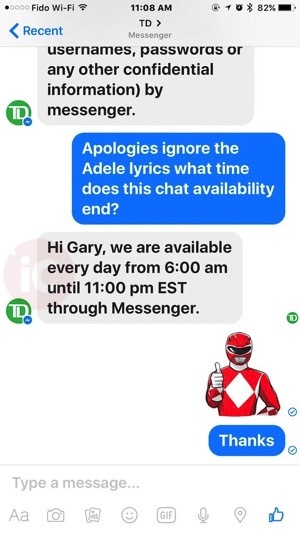 Customers just need to launch Facebook Messenger, search for TD, then will be able to connect to live agents between 6AM and 11PM EST, seven days a week. While the response time wasn’t instantaneous, we did get a response (although we may have creeped out the agent). 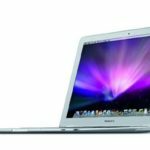 TD says ‘TD Live Chat’ will soon launch on tdcanadatrust.com, which will soon allow customers real-time conversations with agents. Earlier this year, TD launched customer service via SMS in Canada. 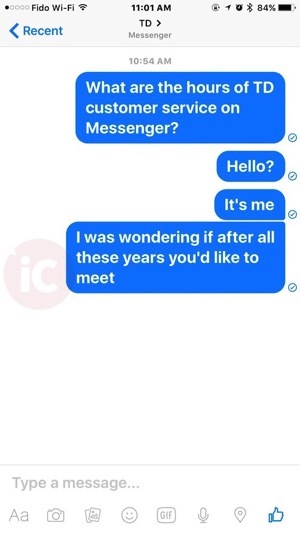 Other businesses are also jumping on Facebook Messenger as a way to connect with customers, as earlier this month Rogers similarly launched customer care through the platform. Let us know how this new addition works for you.